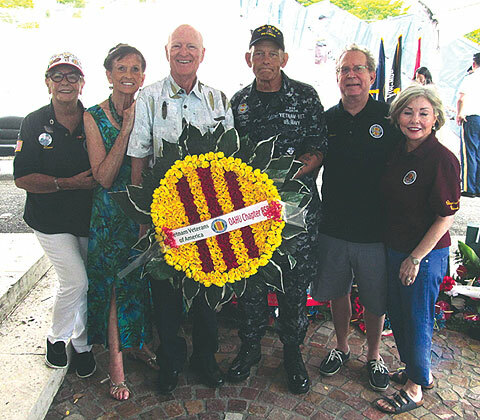 Members of Oahu, Hawaii, Chapter 858 participate in every ceremony held at the majestic National Cemetery of the Pacific, known as “The Punchbowl.” Commemorations are held every Memorial Day, Veterans Day, Anzac Day, WWII Arizona Survivor ceremony, and POW/MIA Day. In addition, hundreds gather the evening before every Memorial Day for a candlelight vigil to honor the service and sacrifice of Vietnam veterans—both during and after the war. There are about 30,000 Vietnam veterans living in Hawaii, as well as 50,000 active-duty military personnel.